Hi, there is a touch issue going on with my iPhone X running iOS 12. The screen is responding itself despite the fact that I'm not using it and have placed it on the table. One of my friends explained it something kind of ghost touch. I've no idea about this. Is there any possibility to fix the problem? Please help! We are glad that you share this issue with us. Many others have also complained about this. Some of them meet this problem after updating to iOS 12. Therefore we feel like writing this article. This post will tell you why this happens and how one can fix this issue. Before proceeding to the solutions, here is the reason behind iPhone X ghost touch problem. 1. The Possible Cause of iPhone X "Ghost Touch"
The ghost touching on iPhone X can be a reason of a faulty display assembly, the damage of pin, or probably imperfect seating of the display. These can be fixed at the Apple Store since they are hardware problems. Since iPhone X now is still within warranty, they will change a new iPhone for you. 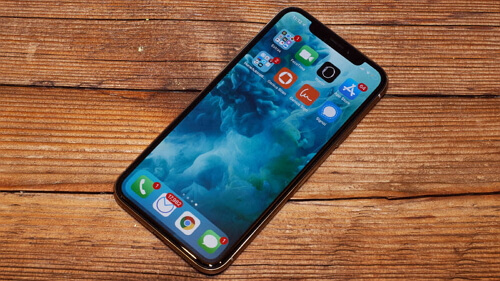 However, there are some tips that are worth trying before running to the Apple service center since this problem can also be caused by software problem such as iOS 12 update. Let's move forward to get those tips. These tips also apply to the other iOS devices such as iPhone 8, iPhone 7, iPhone 6, iPad, iPod and so on. Here is the first tip to resolve iPhone X ghost touch issue, try to clean your device's screen with the help of some cleaning solutions like alcohol. Please note that your phone should be switched off while you begin doing the cleaning steps. Another tip would be trying a toothpick to clean the minor gap between the iPhone's body and the glass screen. To avoid any deterioration to the screen, you can take a tissue paper and fold it multiple times to make it soft enough to avoid tearing while attaching it to the toothpick tip. Now, dip the tissued toothpick in the solution and start cleaning that gap. Reset all settings is a worth trying method in case of iPhone X ghost touch issue. Your settings will be set to default after performing the steps. To execute this, open "Settings" > "General" > "Reset" > "Reset All Settings". You will be asked to enter your passcode and then need to confirm your action again. For this, tap on "Reset All Settings" again. Another fix you can try when facing with ghost touch in iPhone X is hard resetting your device. 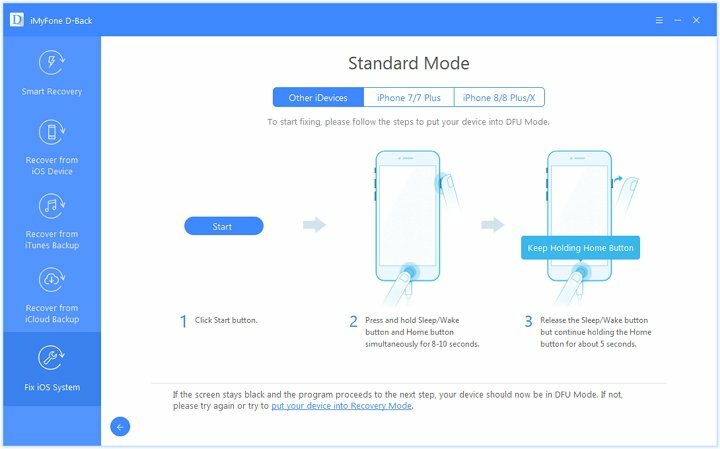 The steps are really easy but differ for different iPhone models. Follow the steps given below according to what device you possess. 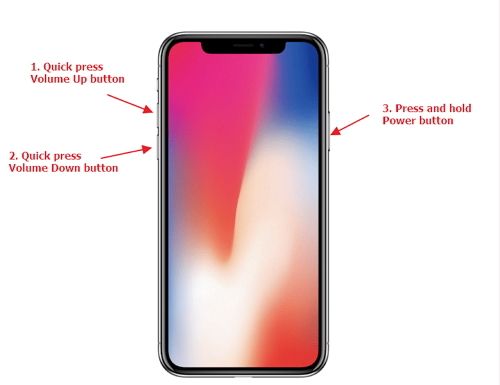 For iPhone X, iPhone 8 and 8 Plus: Begin pressing the "Volume Up" button and immediately release it. Now, carry it out with "Volume Down" button. After quickly releasing both the buttons, make hold of "Sleep/Wake" button till the time you get Apple logo on the screen. 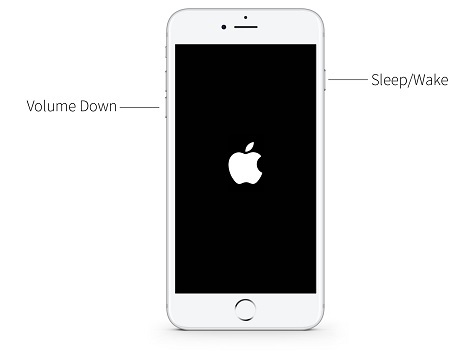 For iPhone 6 and early models: Start with pressing and holding down the "Sleep/Wake" button and "Home" button simultaneously for 10 seconds. 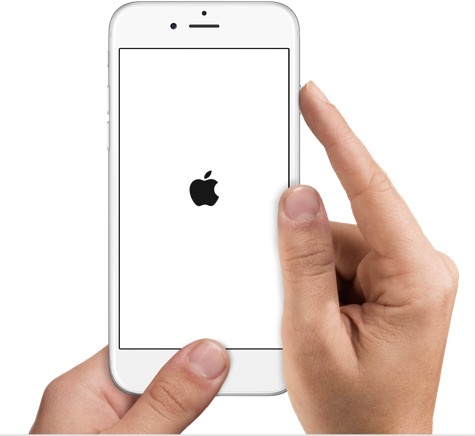 When caught the Apple logo on the screen, release the buttons. For iPhone 7 and 7 Plus: If you use these models, makes sure to hold down "Volume Down" button along with "Sleep/Wake" button for 10 seconds until you find Apple logo coming on the screen. Before you think that the issue might be with your hardware, here is the last and worthy tip you should try to fix your ghost touch issue. It is possible that your iPhone X is suffering from an iOS issue and for this we would recommend you to use iMyFone D-Back. It is a multipurpose third-party tool and will help you in fixing any iOS bug that is triggering ghost touch issue on your iPhone X. It offers a very powerful feature named as "Fix iOS System" that is capable enough to resolve iOS issues with a few straightforward steps. Being the most compatible and professional tool, it becomes one of the most leading tools in the market and therefore it is recommended to use. The tool was recommended by Macworld and Makeuseof. 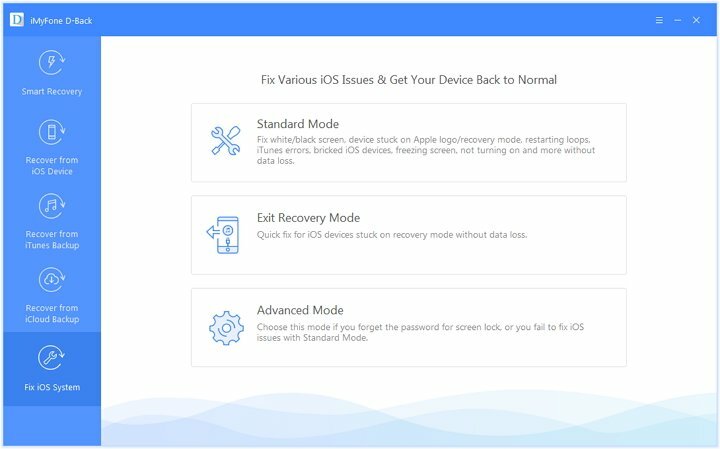 You get three different modes with "Fix iOS System" feature that are capable of fixing different iOS issues, such as stuck on recovery mode/Apple logo, restart loops, Wi-Fi issues, freezing issue, iTunes errors such as 4013, 9 and so on. 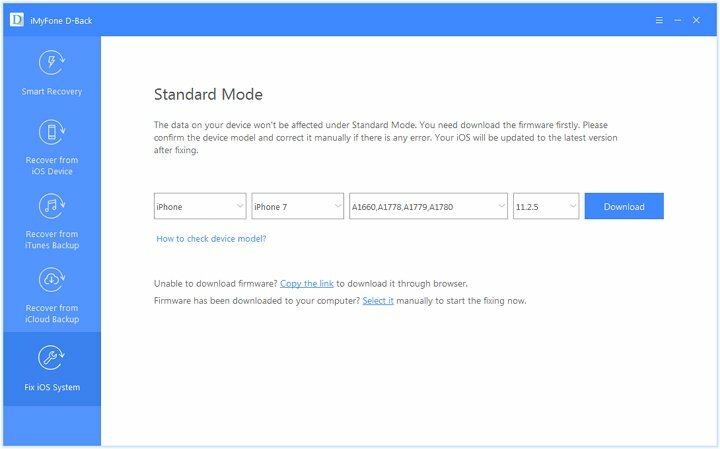 The "Standard Mode" will not influence the data on your device. It is also a data recovery tool which is able to recover more than 20 types of data no matter you have backup or not. Step 1 – From the official page, download iMyFone D-Back in your PC. Launch it and choose "Fix iOS System". Now, connect the iPhone X with the PC using USB cable and choose "Standard Mode". 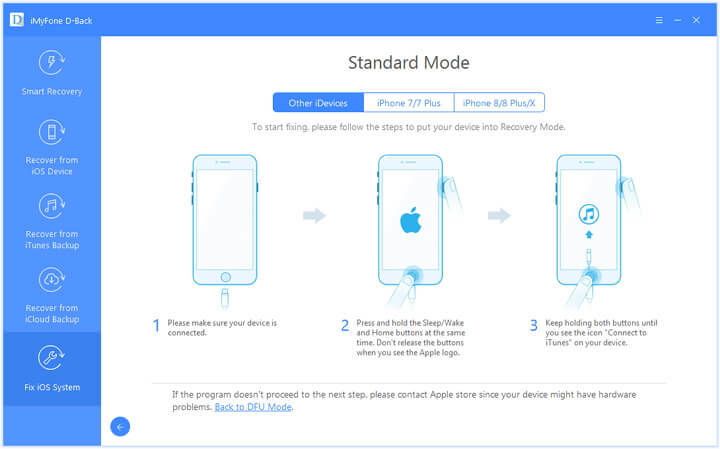 Step 2 – You will be required to put your device into the DFU mode or recovery mode. The instructions will be on the screen. Step 3 – The program will detect your device and provide you the most suitable firmware for your device. All you need is pressing the "Download" button. In the last, click on the "Start to Fix" button to get the fixing process started. Wait for a while until the process finishes, and then your iPhone X even it is running iOS 12 will get back to normal. 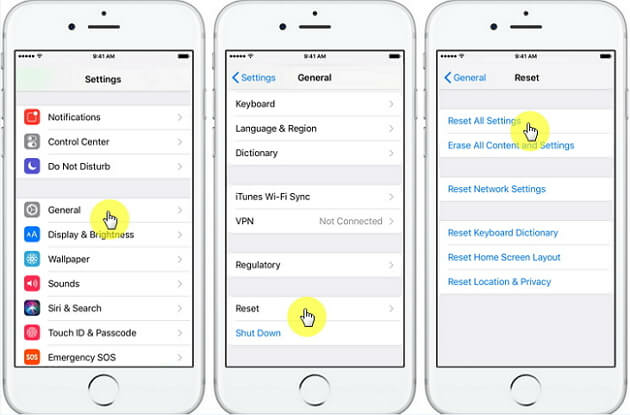 All the above tips works for all iOS devices including iPhone 8, iPhone 7, iPhone 6, iPhone 5, iPad, iPod touch running all iOS versions including iOS 12. Hope you'll fix the ghost touch issue with one of the above method.